Review: The Prehistoric Archaeology of Ireland. Revised Edition. John Waddell. Wordwell, Dublin, 2010. 435pp. Black & White illustrations and plates throughout. 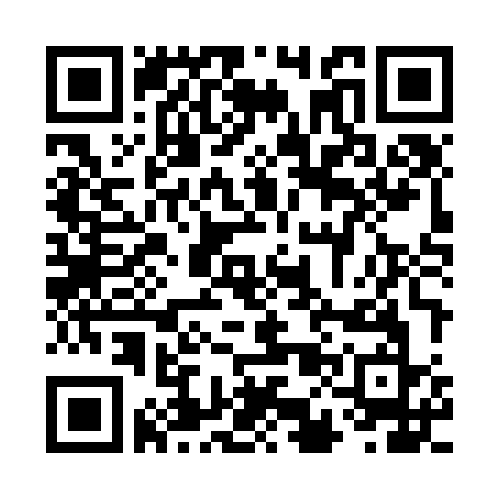 ISBN 978-1-905569-47-5. €40 (via Wordwell) or £40 (via Amazon). This 2010 volume describes itself as the ‘Revised Edition’, building on the 1998 first edition (published by Galway University Press), and the 2000 second edition (published by Wordwell). Inevitably, it is already known within the Irish archaeological world as the third edition. Before I began this review, I went back and re-read Tom Condit’s (1998) assessment of the first edition in Archaeology Ireland. I wanted to get a feeling for how the work was perceived at the time and how this latest edition either continues those initial observations, or deviates from them. In the first instance, Condit sees the volume as joining an ‘impressive suite of recent textbooks’. These are given as Herity & Eogan’s Ireland in Prehistory (1977); Harbison’s Pre-Christian Ireland (1988); O’Kelly’s Early Ireland (1989); Mallory & McNeill’s The Archaeology of Ulster (1991); Cooney & Grogan’s Irish Prehistory – a social perspective (1994); Pagan Celtic Ireland by Raftery (1994); and Mitchell & Ryan’s Reading the Irish Landscape (1997). As is the way of such things, books pass from being relevant first-port-of-call research resources into relative obscurity as the newer generation of volumes pushes forward. It is merely a personal opinion, but I would suggest that with the possible exception of the last two books (Pagan Celtic Ireland and Reading the Irish Landscape), the time of the volumes on that list has come and gone. As I say, this is neither a slight on the books, nor their authors, but simply the progressive nature of research. While a contemporary of these volumes, The Prehistoric Archaeology of Ireland has established itself as the textbook of choice for the archaeology undergraduate and the professional classes. Inevitably, in the time since its original publication, other contenders have come forward. Chief among them are Malone’s Neolithic Britain and Ireland (2001) and Bradley’s The Prehistory of Britain and Ireland (2007). While Neolithic Britain and Ireland, at least, has much to recommend it, neither of these works has ever been a serious contender to displace The Prehistoric Archaeology of Ireland. In his preface to the work, Waddell explains how, in the 1st edition, he attempted to use the emerging body of radiocarbon dates to dispense with the ‘antiquated’ Three-Age system and such terminology as ‘Mesolithic’, ‘Neolithic’, ‘Bronze Age’, and ‘Iron Age’. He has now come to realise that, despite its inadequacies, it ‘stubbornly refuses to die’. I would argue that the reason for its longevity is precisely because it continues to present a valuable conceptual apparatus for examining and discussing our past – but that is another matter. While he claims to ‘some reluctance’, he includes a broad chronological periodisation, though a similar chronology was included in the introduction of the 2nd edition. After the expected listing of important publications from both the university and commercial sectors that have necessitated a new edition, Waddell launches a number of broadsides against the current state of university education in archaeology, the State licensing and oversight system, and the practices of the commercial excavation sector. While not all readers would agree with all of his points, I feel that they should be recommended reading (and discussion topics) for every archaeologist; student, professional and enthusiast. Readers will note that the introduction to the earlier editions (A short history of prehistoric archaeology in Ireland) does not appear in the new edition. This is because Waddell developed the chapter into a full book in its own right. Foundation Myths: The beginnings of Irish archaeology (2005) is a superb investigation into the origin and development of archaeology in Ireland from mythological tales and the works of early antiquarians, through to the professional archaeologists of the early and mid-20th century. As an aside, I would also recommend Foundation Myths as an exemplary read. Chapter 1, ‘Postglacial Ireland: The first colonists' examines the earliest evidence for the first humans to arrive in Ireland. The various Palaeolithic finds from Ireland are assessed and dismissed and a brief sketch of the climate and appearance of the postglacial landscape is presented. As in previous works, there is justifiable dominance given to the Early Mesolithic evidence from Mount Sandel, Co. Londonderry, and Lough Boora, Co. Offaly. The Late Mesolithic evidence also hits all the expected sites, and includes more recent discoveries at Ferriter’s Cove, Co. Kerry, Clownastown, Co. Meath, and Hermitage, Co. Limerick. Chapter 2, ‘Farmers of the Fourth Millennium’ describes Neolithic life in terms of settlements, pottery, lithics and organic materials. As an aside, I would add that Waddell’s referencing, however briefly, the excavation of three Neolithic houses at Ballintaggart fulfils a long-held personal ambition of being included in this volume! (buy BAR 479 here!) Chapter 3, ‘The Cult of the Dead’ examines passage tombs (with particular reference to the Boyne Valley, Loughcrew, Carrowkeel, and Carrowmore cemeteries), burial ritual, grave goods and passage tomb art. This is followed by succinct expositions on court tombs, portal tombs, wedge tombs, Linkardstown graves and other forms of burial. Chapter 4, ‘Sacred Circles and New Technology’ describes the evidence for the transition from the Late Neolithic into the Bronze Age. Subsections within the chapter include Beaker pottery and burials, settlement and economy, new metalworking technologies, and cemeteries. As is to be expected from a specialist in Bronze Age pottery, the sections dealing with bowls, vases, and urns is especially thorough. Chapter 5, ‘Enigmatic monuments’ examines the phenomena of rock art, stone circles, alignments, standing stones, and burnt mounds. Chapter 6, ‘Bronze and gold and Power: 1600-1000 BC’ presents the evidence for the bronze and gold metalwork of the Kilmaddy, Bishopsland, and Roscommon Phases; along with the evidence for ‘settlement, economy and Society 1600-1000 BC’. Chapter 7, ‘The Consolidation of Wealth and Status: 1000-600 BC’ presents the metalwork of the Dowris Phase, through the buckets, cauldrons, horns, and crotals and into the weaponry: swords, chapes, spears, and shields. The goldwork is then presented: dress-fasteners, lock-rings, hair-rings, ring-money, bullae, and bracelets. The evidence for regionality during the Dowris is examined and followed by an examination of the more enigmatic artefact types. The latter include ‘boxes’, ear-spools, hats and pins. Short sections are dedicated to the topics of ‘the Atlantic seaways’ and ‘amber and the Nordic question’. Bronze tools and implements are detailed, with particular emphasis being placed on the socketed axes. The final portion of the chapter examines ‘Settlement and Society 1000-600 BC’ and is chiefly composed of brief synopses of major sites, including Lough Eskragh, Co. Tyrone, Mooghaun, co. Clare, and Rathgall, Co. Wicklow. Chapter 8, ‘From Bronze to Iron’ examines the earliest evidence for iron working and is followed by a section assessing this transitional period in terms of ‘Discontinuity and Change or Continuity an Innovation?’. The author treats briefly of ‘The Problem of the Celts’, and how the archaeological record may be interpreted in terms of linguistic and DNA evidence. The major hoards of the period are examined (Knock, Somerset, and Broighter) and are followed by a significant section on horse harnesses and related artefact types. Further sections examine weaponry, personal ornaments, along with discs, horns and solar symbols. Chapter 9, ‘Elusive Settlements and Ritual Sites’ presents the comparatively meagre, but growing, evidence for Iron Age society and religion. Subsections include detailed presentations on quern stones, wooden and bronze vessels, Royal sites and large enclosure in Later Prehistory (with dedicated sections on Tara, Co. Meath; Navan, Co. Armagh; Knockaulin, Co. Kildare; and Rathcroghan, Co. Roscommon), The Hillfort Problem, linear earthworks, along with ‘cult, sacrifice and burial’. Chapter 10, ‘Protohistory’ briefly assays the impact of the Roman world on this island. He concludes that the traditional claim that Ireland was somehow aloof and insulated from the influences of Rome can no longer be sustained. Condit took issue with Waddell’s use of chapter endnotes to present the bibliographical information, and suggested that the standard Harvard system was preferable. This has been rectified in the Revised Edition and a conventional Harvard system is applied throughout. Unfortunately, the endnotes have been eliminated in their entirety. While following up on published references is now (arguably) easier than before, the wealth of additional information not suitable for the main text (including detailed references to radiocarbon determinations) has all been swept away. I cannot pretend that I am anything but disappointed by this development. In a previous blog post I passingly described The Prehistoric Archaeology of Ireland as ‘magisterial’, and I stand by that assessment. Condit’s review of the first edition described the organisation of the books as ‘old fashioned’ in that the subject matter is organised ‘in a linear style, a straightforward exposition of material which can be grouped to provide an assemblage of comparative information in chronological order’. I, however, see this as one of the strengths and attractions of the work (in all its editions) – the available evidence is clearly and concisely presented without any explicit theoretical framework being applied to it. Obviously, there are those who will see the lack of an unequivocal theoretical bias as a fault in the work – I am not among this number. On a superficial level I would express some concern that a book that has obviously incorporated so much new material has only increased its page count by two (1st & 2nd edns: 433pp vs. 3rd edn: 435pp). However, even in the preface to the first edition Waddell acknowledged that a trawl of the available published literature, of necessity, required significant skills of selection and editing. Thus, I find little to fear in the inevitable consequence that the some sections have been shortened to accommodate new material. I do have two significant criticisms of the new edition, and neither has anything to do with the contents or their selection. In comparing the 2nd and 3rd editions I immediately noticed that there was a significant difference in the thicknesses of the two. The 2nd edition measures c.30mm, while the new volume measures c.21mm. It was this observation that first led me to examine the page count, presuming that the new edition was much shorter. The solution is quite prosaic: the new edition is printed on thinner, lighter-grade paper. In a photograph I took for the IR&DD Facebook page soon after the book was delivered, the cover may be clearly seen, already starting to curl. This is not a trivial matter for two of the largest user-groups of this volume: archaeology students and professional field archaeologists. In my own case, my copy of the 2nd edition has been on practically every site I’ve worked on since its publication in 2000. For a lot of the remainder of that time it has knocked about in the back of my car or been a constant presence on my desk, being repeatedly thumbed through for both parallels and (occasionally) some recreational reading. It has even accompanied me on family holidays across Europe, Turkey, Crete, and (I think) Egypt. Despite this catalogue of abusive travel and research, my copy is in pretty reasonable condition and I should fully expect that it will last at least another decade. While the average archaeology undergraduate may not quite subject their copies to such extremes, they will still require a physically robust textbook. My fear is that the new edition will simply not stand up to the material demands that may be justifiably made of it. My second major criticism of the new edition is that it is without an index [Note: see author's update in the comments section, below]. In such a work as this, a comprehensive index is an essential component of its utility, and I can only feel that it is diminished by its absence. In all honesty, I feel uncomfortable criticising the publishers of this volume. Over the years Wordwell have emerged as the major publisher of Irish archaeology texts of all kinds, and their name has become synonymous with high-quality products. Unfortunately, I feel that they have, in this instance, failed to live up to their reputation. I hope that Wordwell reconsider these production decisions and for future reprints and editions commission a new index and print on more robust materials. Even taking account of these criticisms, the current edition of The Prehistoric Archaeology of Ireland is a masterwork and must be heartily recommended to all students of Irish prehistory – undergraduates and professionals alike. Condit, in his original review, justifiably takes issue with the choice of title for the book. While he recognised that there were only so many possible permutations of the words ‘prehistory’ and ‘archaeology’ to go round, he took the title to imply that it was concerned with archaeology in prehistoric times. 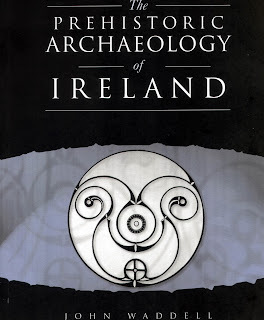 I admit that I have never found the title completely satisfying, but I do think it significant that the book has so embedded itself into the collective consciousness of Irish archaeology that no one even raises it as an issue any more. Perhaps even more significantly, for a large part of those involved in archaeology on this island, the original title is not used at all – it is simply referred to as ‘Waddell’. To my mind, this has the unintended consequence of reducing the perceived importance of his significant body of publications. Nonetheless, it is ample testament to the preeminent place that both this book and its author hold in Irish archaeology. 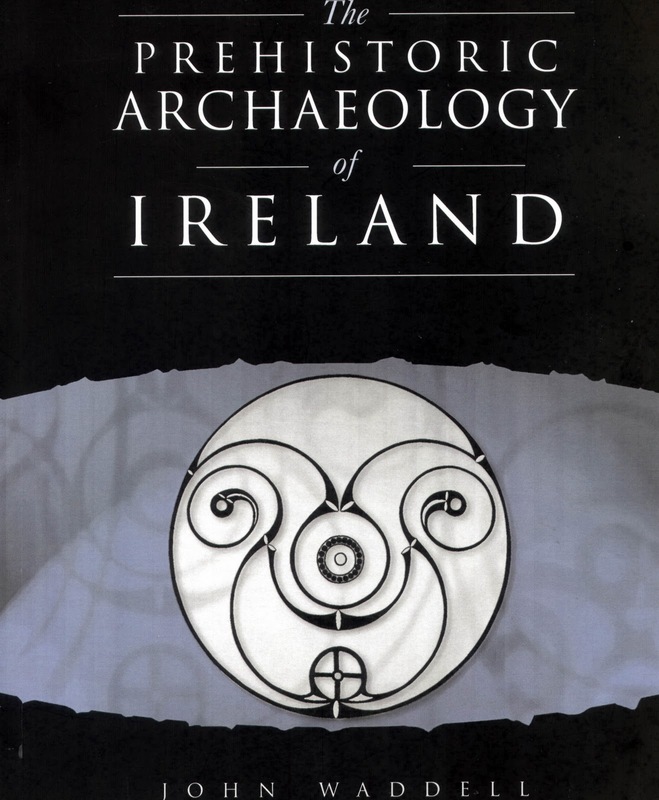 No matter how great or small your collection of books on Irish archaeology may be – it is simply incomplete without this volume being a part of it. Note: Robert M Chapple wishes to acknowledge the financial assistance provided under the Built Heritage element of the Environment Fund by the Department of Arts, Heritage and the Gaeltacht towards the Irish Radiocarbon & Dendrochronological Dates project [IR&DD Facebook Page]. Condit, T. 1998 ‘The Prehistoric Archaeology of Ireland [Review]’ Archaeology Ireland 12.2, 38.